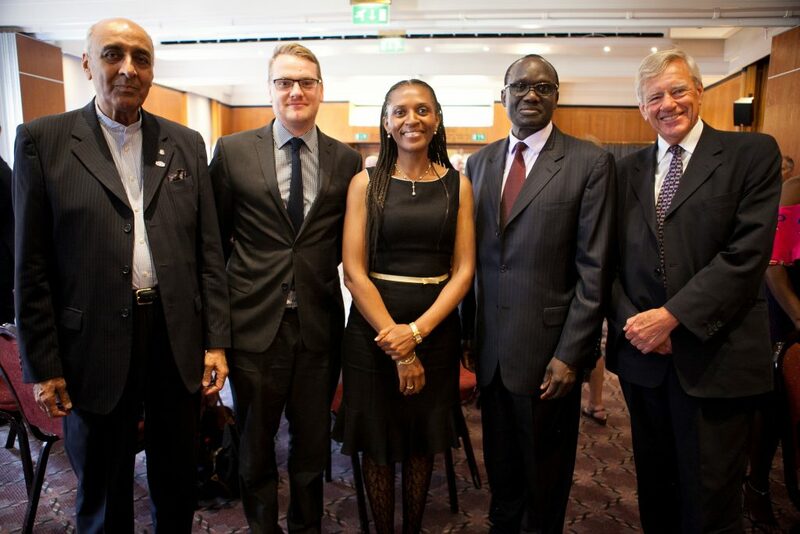 On Friday 23 June the Kenya Society hosted its AGM and Annual Lunch at the Royal Over-Seas League. Guests enjoyed a drinks reception followed by a three course meal, showcases from the MASK Prize, Kiko Romeo clothing, and BiBi jewellery also featured at the reception. Members were encouraged to enter a free prize draw to win a luxury holiday provided by Serena Hotels which was won by Winnie Mbaya who received 5 nights at Serena Beach Resort & Spa and the Mara Serena Safari Lodge. Guest Speaker Dr Josephine Ojiambo, Deputy Secretary of the Commonwealth (Political), spoke on Kenya, the Commonwealth and the implications of Brexit. Guests of Honour included High Commissioner H.E. Lazarus Amayo and Mrs Nelly Amayo.